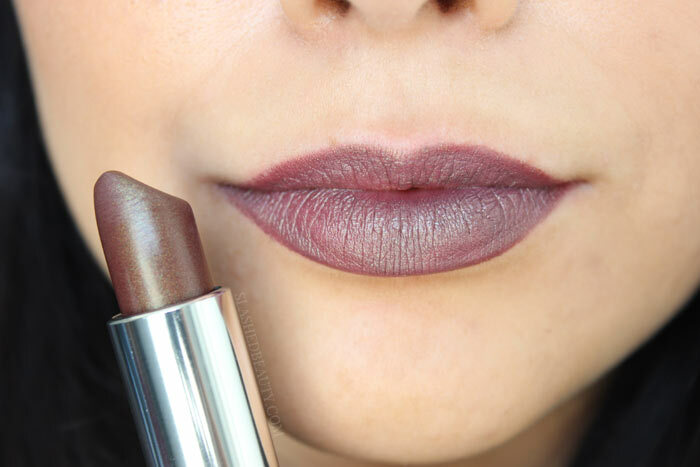 Matte and metallic finishes are neck and neck for beauty’s most trendy lipstick finish… am I right? Now you can get the best of both worlds with the new Maybelline Color Sensational Matte Metallics Lispticks— available in ten head-turning shades. I’ve personally had a hard time finding metallic lipsticks that A) look good on me and B) are comfortable to wear, so I was skeptical yet excited to take these for a test drive. The creamy texture of the new lipsticks is made comfortable by a formula infused with honey nectar. 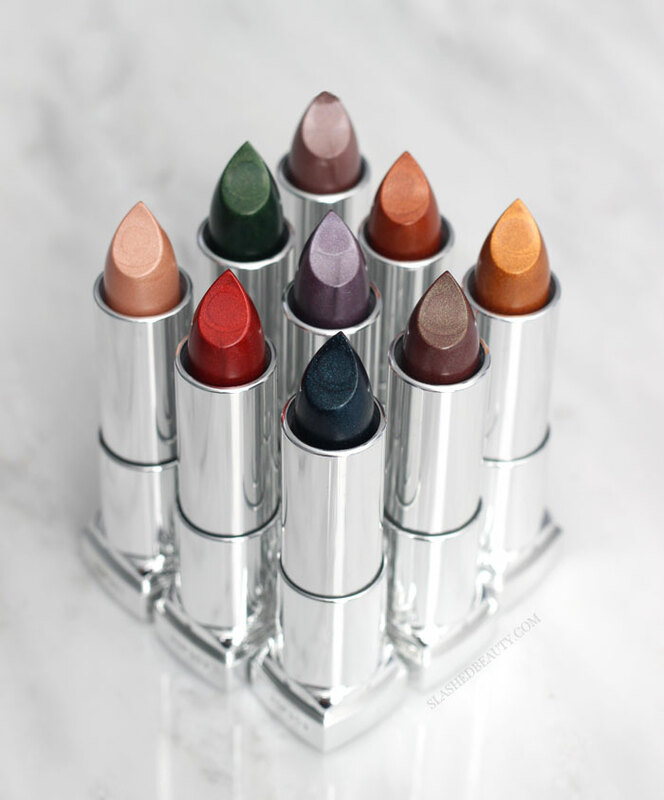 They boast a brilliant matte finish with shades inspired by earth tones. While metallics are typically bolder by default, there are a few nontraditional shades in this line that have me particularly intrigued. 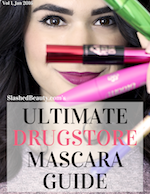 It seems that drugstore beauty brands are getting more daring with each release in pushing the boundaries of what’s considered the norm, and this launch is no exception. Before anything else, let’s take a look at the shades. Unfortunately, I didn’t realize I was missing one in the collection, so I currently have 9 to show you. If I grab the last one, I’ll add it to this post. White Gold adds a frosty finish to your lips, serving major 90s vibes. I personally don’t think it’s flattering on my own skin tone, and it’s the least forgiving in terms of lip lines. Pure Gold has an orange-y base with a gold metallic reflection. 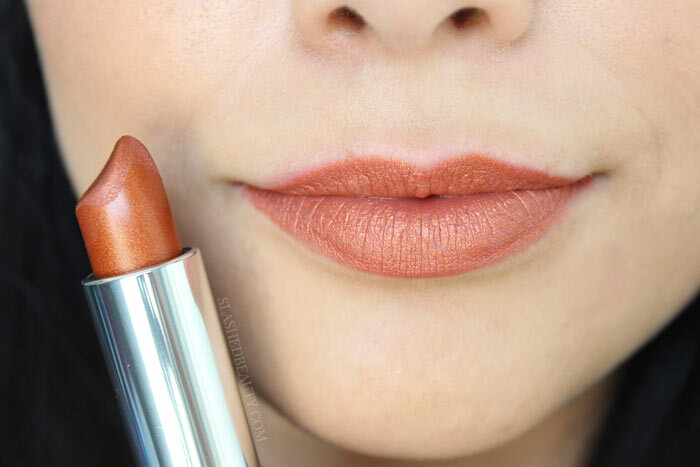 Copper Spark looks a little more peachy to me on the lips, but is a great warm shade for summer. Hot Lava is a classic red— though this seemed the least metallic of the bunch. Molten Bronze is one of my favorites of the collection. 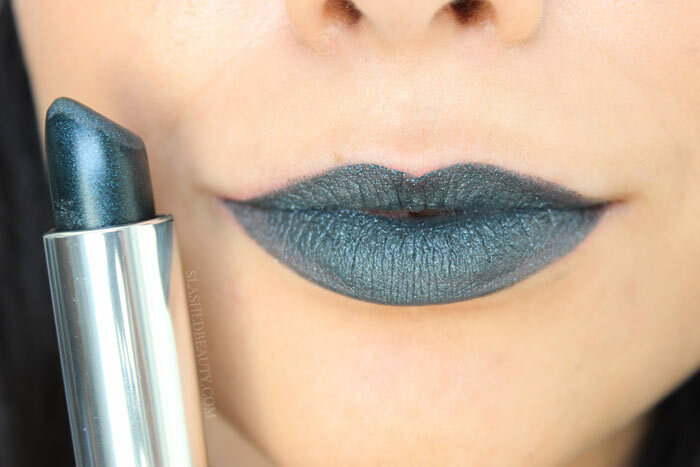 It’s a duochrome lipstick with a purple base and a metallic shift from bronze to teal. 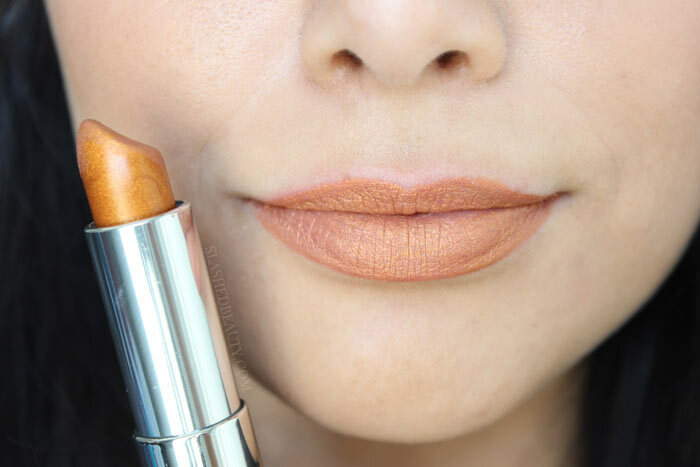 It’s one of the most interesting shades in this launch, and truly unique. Silk stone is a grey-toned beige that’s muted enough to work with every-day looks. The metallic finish is strong with this one, so be sure to exfoliate before applying! 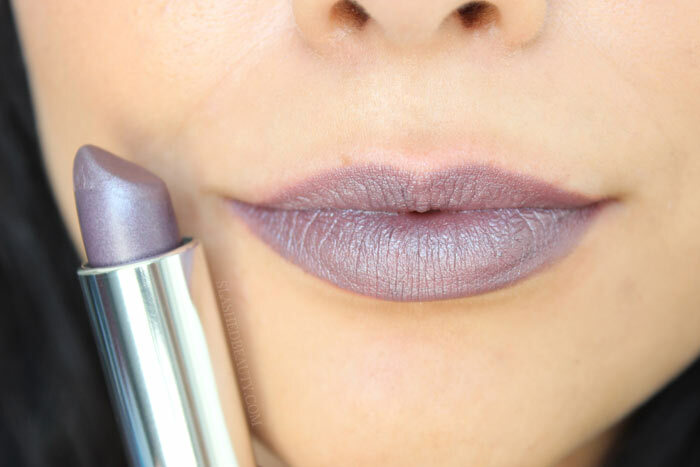 Another one I can’t get over, this gorgeous shade is a silver lavender with a blue/silver metallic reflection. 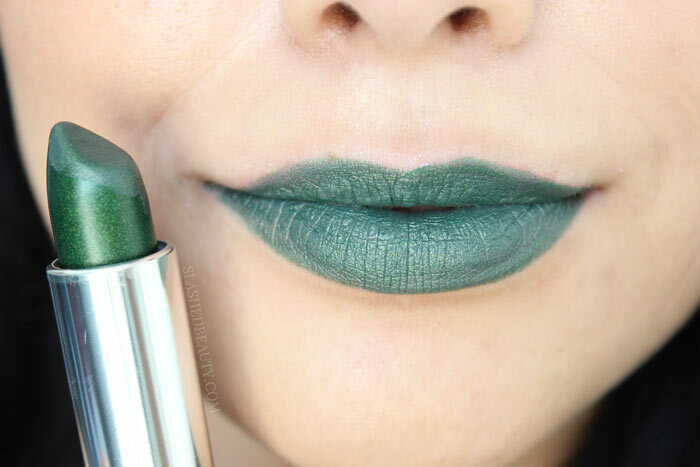 Not for the faint of heart, Serpentine is an emerald green with a silver metallic reflection. I don’t know how they did it, but Maybelline made blue lipstick wearable. I’m totally in love with Gunmetal, which is a grayish navy blue with blue shimmer and a silver metallic reflection. 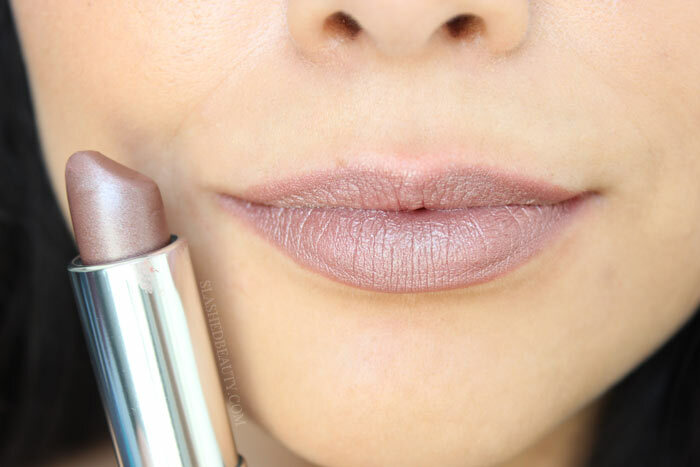 Upon my first use of the Color Sensational Matte Metallics, I was incredibly underwhelmed. They felt way too slippy, and it was hard to get them to apply evenly. I felt like with each swipe, I was moving around color instead of layering. Then, I had the eureka moment. 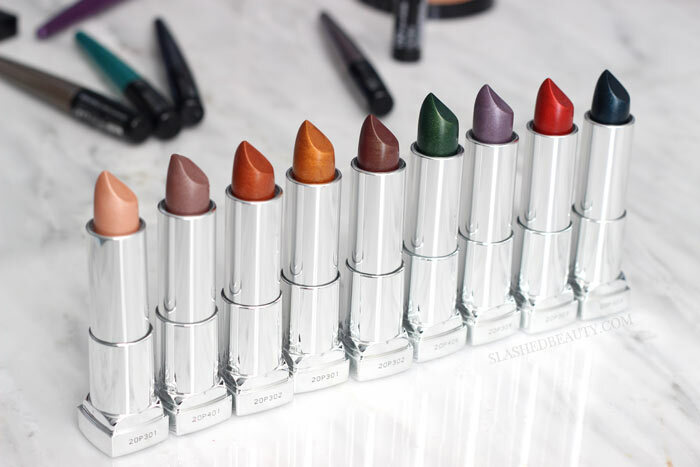 Unlike most regular matte lipsticks, these don’t claim to be long wearing. Even though they have a flat look to them, they never really FEEL matte. 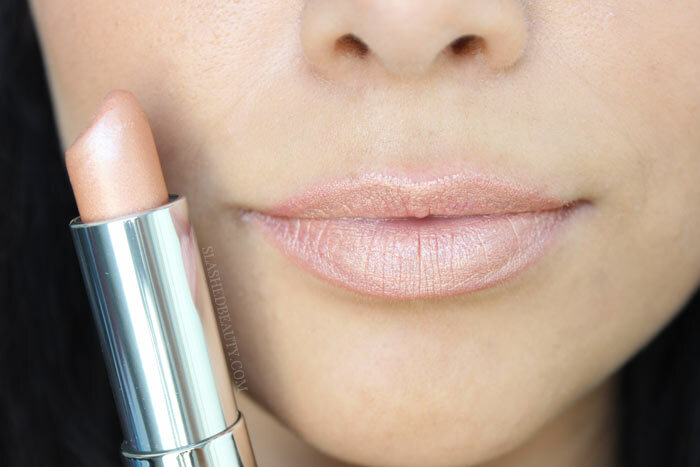 The honey nectar formula is truly comfortable to wear and doesn’t dry out the lips. With that said, I did experience transfer and fading, especially toward the center of the lips. Touch ups will be required with these, especially because the bold finish can make smudges and smears even more obvious. Because you’re dealing with two finishes that are both notorious for accentuating texture, you are definitely going to want to exfoliate prior to application. While I don’t feel like the formula fell into my lip lines, it still brought attention to them. 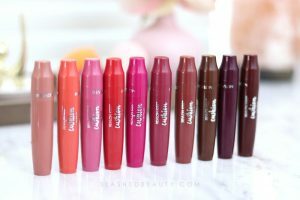 Overall, are these an every day lipstick? Not particularly. 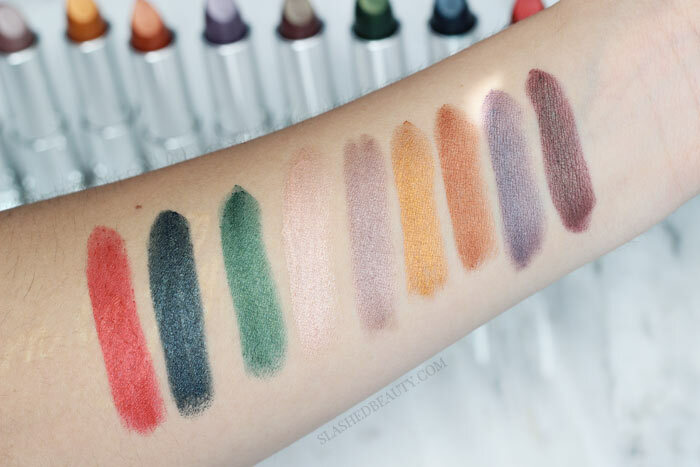 However, there are certainly some stand-out shades that will bring any makeup look to a whole other level. I’ve been wearing some of the bolder ones with a completely fresh face, letting them make a statement on their own. I feel like they’re very high-fashion-meets-real-world, and are a welcome addition to my collection when I’m feeling brave. 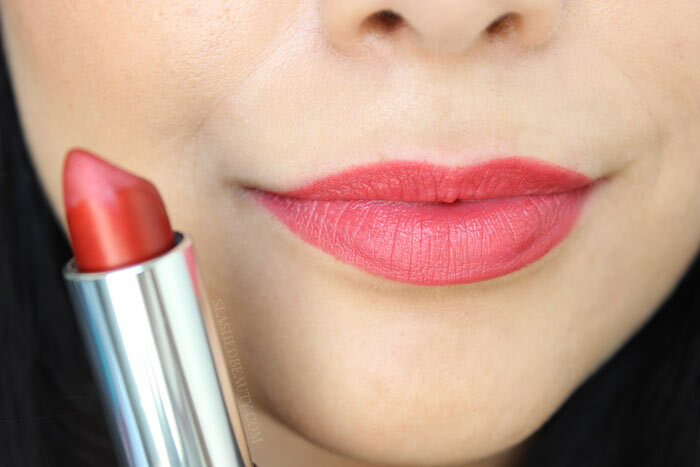 You can find the Maybelline Color Sensational Matte Metallics Lipstick for $7.49 at Ulta Beauty. Are you into or over the metallics trend? Thanks Tony! I guess it would depend on what the rest of the look is. Ooh those are such great colors, looking forward to seeing how you like them!